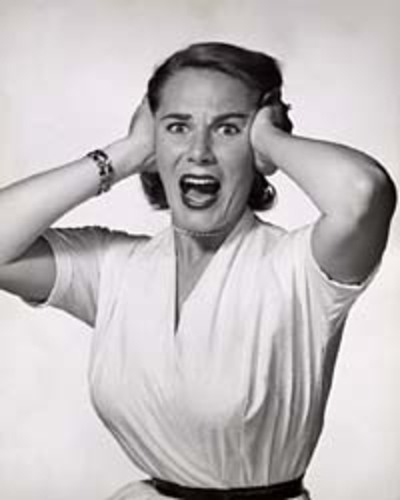 Every three months or so I go into my scheduled freakout mode. Today was that day. Taking the girls for a walk I started thinking (as I do every spring/summer in Vegas) how lovely it would be to move to, say, Alaska.... or Seattle. Then I remembered- um, no! You have a mortgage, kids, your husband has a job, etc. What happened? I'm too young to be tied down! (says the freakout) All the major life-decisions have already been made! I've graduated, (and thus figured out "what I want to be when I grow up") got married, and had kids! Done and done! The next major life event is, like, retirement! And I never did get to backpack through Europe! Then the freakout passed. It's been a good day- did some shopping for summer clothes, and am doing a bit of spring cleaning, then spring relaxing. No more freakout; see you again in three months (or less)! What a cute post! You should have been with me last week - we could have freaked out together :) I can't decide if being tied down is a good thing or a bad thing? ?